Yemen’s UN envoy met with the rivaling delegations Monday in Kuwait on the second day of the UN-backed peace talks. 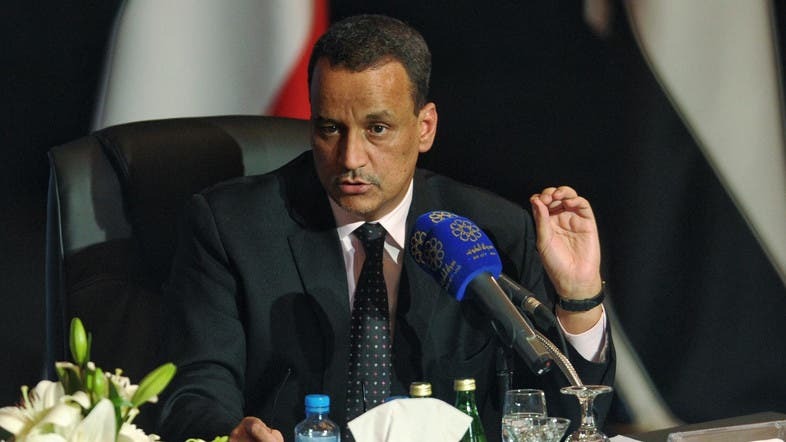 Ismail Ould Cheikh Ahmed, who has been chairing the peace talks in Kuwait since April, separately met with the Houthi delegation and their allies and President Abedrabbo Mansour Hadi’s Saudi-backed government. Ahmed is later expected to meet with Kuwaiti Foreign Minister Sheikh Sabah al-Khalid al-Sabah, Kuwait News Agency reported. The agency noted that the UN envoy will discuss a number of political, security and humanitarian issues with all parties involved. The talks will aim to assert from both delegations to commit to the Security Council resolution 2216 which requires the militants and their allies to withdraw from areas they have occupied since 2014, including the capital Sanaa, and hand over heavy weapons. In a press statement, the two delegations stressed the talks should be based on the previously agreed points. More than two months of negotiations between Hadi’s government and the Houthi militants have failed to make any headway. Hadi on Sunday warned that his government would boycott the talks if the UN envoy insisted on a roadmap stipulating a unity government that included the insurgents. His government wants to re-establish its authority across the entire country, much of which is Houthi-controlled, and to restart a political transition interrupted when the Houthis seized Sanaa. More than 6,400 people have been killed in Yemen since the Arab coalition intervened in support of Hadi’s government in March last year.